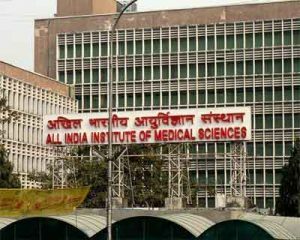 New Delhi: The Resident Doctors Association (RDA) of the AIIMS has sought setting up of facilities for conducting routine laboratory tests round-the-clock. Drawing the attention of the AIIMS director towards the issue of non-availability of facilities for conducting routine laboratory tests after 11 AM, the RDA termed it as “unfortunate”. In a letter to the director, the doctor’s body said they have to send the samples outside for urgent tests or wait for the next working day if a patient gets admitted to the ward in afternoon. “It is unfortunate that the AIIMS despite being an apex institute is not able to provide 24X7 routine laboratory testing facilities for the welfare of the patients,” Dr Vijay Gurjar, president of the AIIMS RDA, said. The association urged the director to take necessary steps for putting in place routine lab testing machines to address the issue. “We as doctors of the apex medical institute must think for the patients as most of them are from weaker sections of the society and hardly can afford the lab tests done from outside,” Gurjar said in the letter.